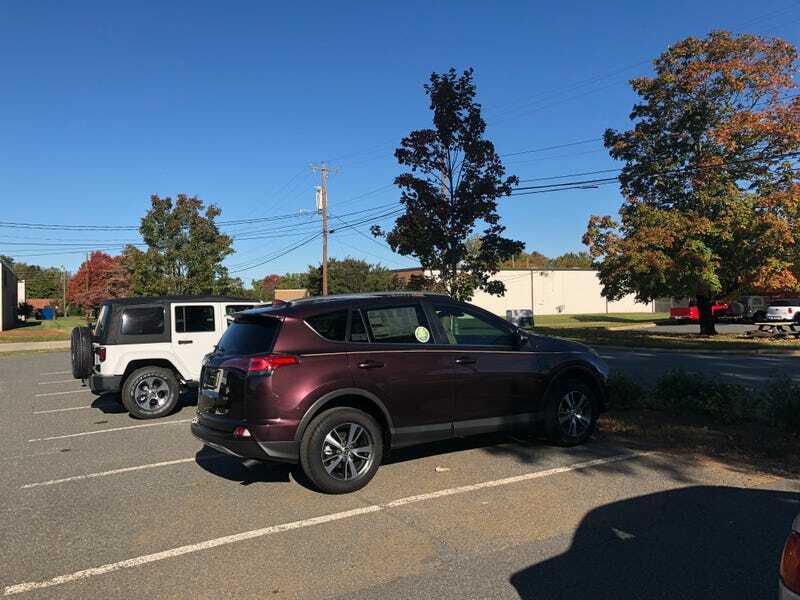 The favorite of people who want a Corolla but also like sitting up higher in the air, the virtually-unchanged since its 2013 redesign Toyota RAV4. The color on this one is called Black Currant Metallic and it’s a multilayered paint with gold-colored flakes. This one got the beige interior.